Supervisors are the first point of contact between the Management and its employees. Besides being the “bridge” performing the connecting function, Supervisors have the role of the Mentor, Coach, Counsellor to play in cascading Company Objectives and driving performance. 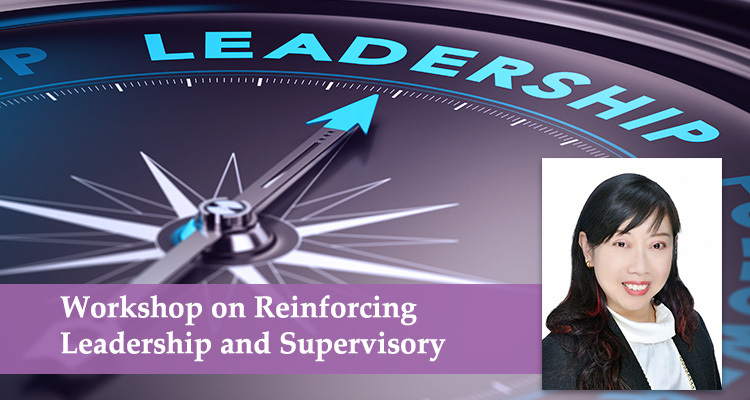 With such immense responsibilities, it is critical that Leadership and Supervisory skills are reinforced periodically. Pre-workshop coursework, group discussion and presentation, case studies and role play. Employees who perform supervisory role. Sin Lin Li is a seasoned Human Resource practitioner with more than 15 years of experience in the field. She has held HR generalist roles in various industries ranging from electronic, chemical, logistics, pharmaceutical to food & beverage manufacturing and has worked with several large MNCs that include Panasonic, Nestle, Novartis, Coca-cola and PepsiCo, to name a few. To make a purchase or request further information, please call 6656 8854 or email us at contactus@hrguru.com.sg.